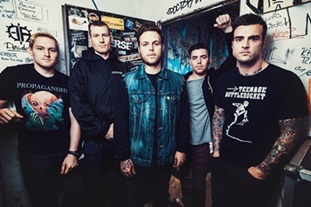 Home / breaking-news / stick to your guns / Stick To Your guns stream video for "The Neverending Story"
Stick To Your guns stream video for "The Neverending Story"
Stick To Your Guns has released the video for the song "The Neverending Story", off of their latest EP "Better Ash Than Dust". The band is currently on tour with Parkway Drive. Yours truly will be catching them soon, so make sure to follow us on social media for reports and updates.